Now click OK and you should be connected. Thank you so much for this handy article. I have been trying to do this and had no clue how. 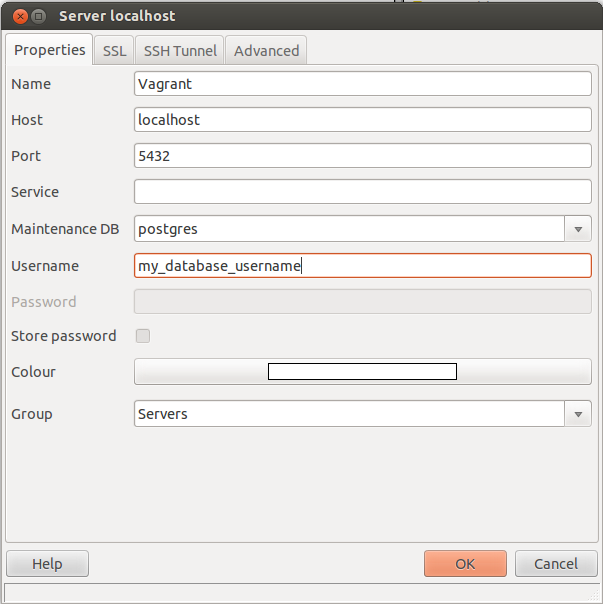 Your clear instructions with snapshots have enabled me to access a PostgreSQL database (stored inside a Vagrant Ubuntu/Trusty64 VM) from my Laptop’s pgAdmin GUI! So much more to learn (I’m a newbie) but you have just helped me to get started! Thanks!!! Thanks for your comment. I am glad you found it helpful! Sorry. I do not know how to resolve that issue. When you figure it out, please post it here to help others. 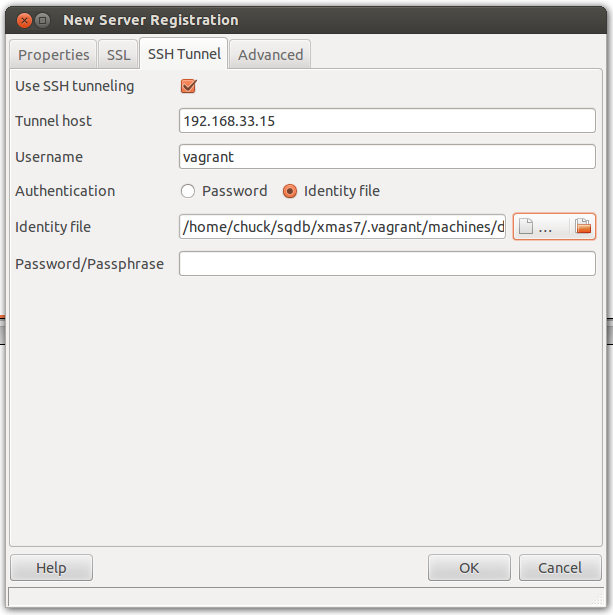 I tried connecting without SSH tunneling more than 60 times. Thanks a lot. very helpful content solved my problem.